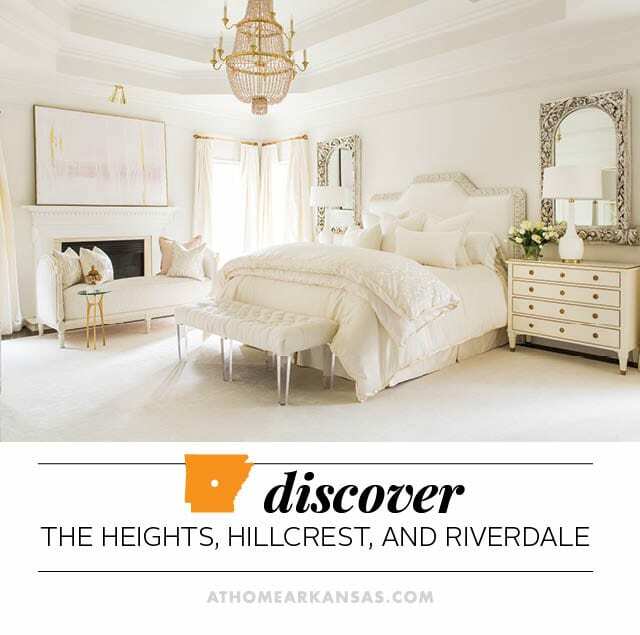 When Amanda and Trey Groce moved into their current home in Little Rock’s Heights neighborhood, it was a one-story, 1,940-square foot cottage. That suited them just fine for the first several years. However, when they found out they were expecting their second child, they started to think more long-term. The family had grown attached to their street, so rather than look for the right-sized house somewhere else, they decided to renovate…. Whether you’re dining for lunch or dinner, Cheers in the Heights (501-663-5937, cheersith.com), offers a friendly, welcoming atmosphere with a menu of consistently fresh and delectable options. We suggest the Chopped Salmon Salad for lunch or one of the always-delicious specials. Be sure to inquire about their party room if you’re hosting a laid-back dinner or small event. When it’s time for a sweet treat, head to local favorite, Cupcakes on Kavanaugh (501-664-2253, eatacupcake.com). Choose your favorite flavor from the plentiful display case, or check out their website for daily offerings. We recommend “Cherry Limeade” or “Razorback Red Velvet.” In addition to cupcakes, they also create custom cakes and cookies. 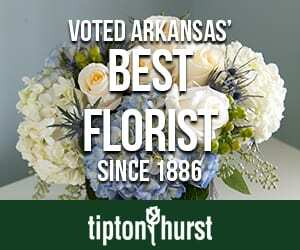 When it’s time to shop, continue down Kavanaugh Boulevard to Tulips (501-614-7343, tulipsarkansas.com). The charmingly chic boutique has the latest contemporary fashions and accessories for women. Whether you’re headed to an outdoor wedding, a date night, or your summer vacation, you’re sure to find the perfect outfit among the store’s bright and stylish selections. Just down from Tulips, you’ll find another fun and fresh source for women’s clothing, Steamroller Blues (501-661-4067, steamrollerblues.com). They carry a young and inspired selection of apparel, accessories, and denim inside the curated shop. If you’re in Jonesboro, be sure to visit their sister location. While you’re strolling on Kavanaugh, we suggest popping into Emporium Home Heights (501-313-2418, emporiumhome.com). The store carries the full line of Emporium Home furnishings and accessories designed by Little Rock native Ashley Childers. The colorful, comfortable, and chic shop also features gifts and works by local artists, including Zoë Eagan’s exquisite ceramic pieces. From there continue a block over to longtime Little Rock staple, Tipton & Hurst (501-666-3333, tiptonhurst.com). Known for fresh floral bouquets and an amazing selection of potted plants, the shop also has an ever-expanding selection of home accessories, gifts, candles, lighting, and more. 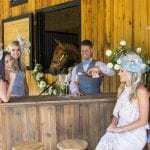 When it’s time for a special event or wedding, call on their talented team for unrivaled floral design. Heading from the Heights toward Hillcrest, you’ll find The Full Moon (501-663-4367, thefullmoonlittlerock.com), a popular and long-established gift shop. We love their selection of unique pieces, including McCarty Pottery and glassware by James Hayes. If you’re a bride-to-be, stop in to register for tableware, serving pieces, linens, home décor items, and more. If you’re looking for gifts and clothing, kill two birds with one stone at Hillcrest’s popular boutique, Haus Werk (501-663-5251, shophauswerk.com). 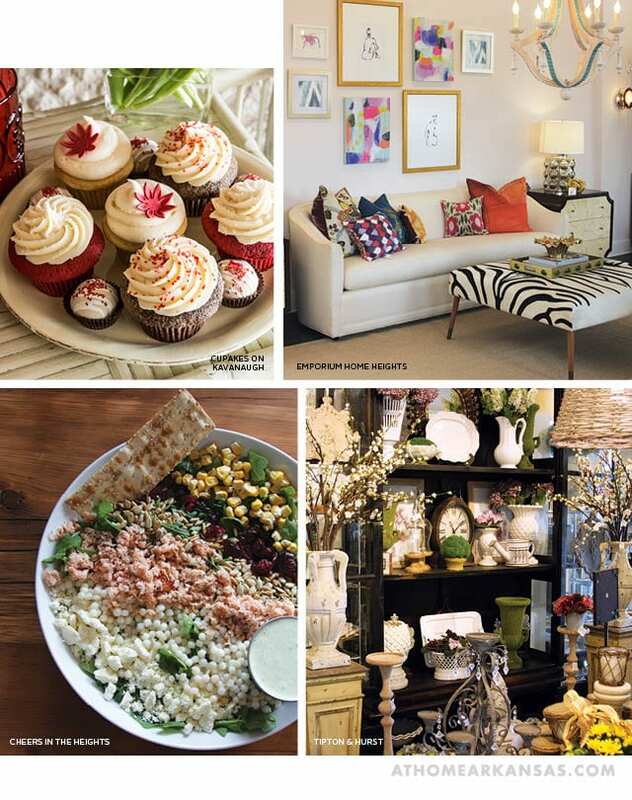 Eclectic and distinctive fashions, jewelry, home décor, and gift items fill this fun, casual boutique. The welcoming staff can assist you in finding the perfect gift or outfit—no matter the occasion. 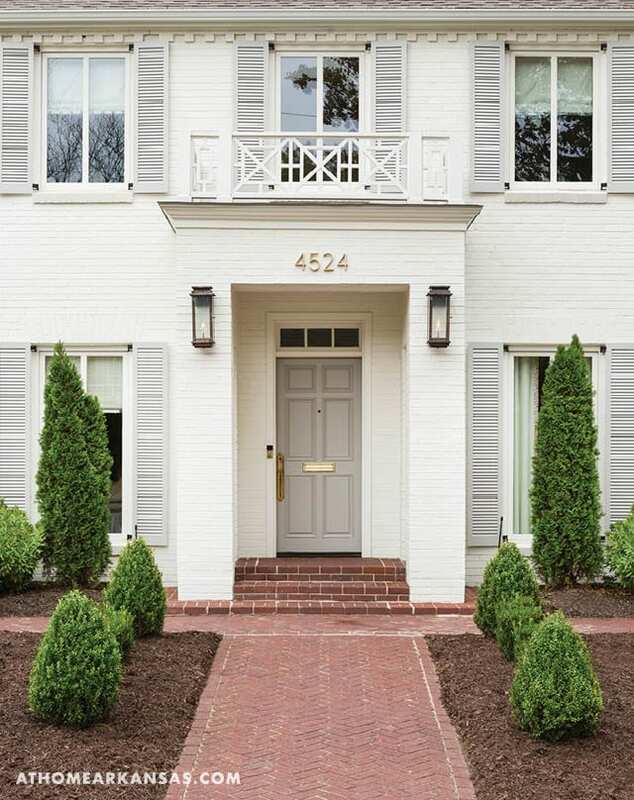 If you’re calling the area home—or if you are in search of a designer and furnishings for your house—there are an abundance of resources in the area, particularly in Riverdale’s “Design District.” Start at Bear Hill Interiors (501-907-9272, bearhillinteriors.com). Designers Kevin Walsh and Susan Walsh offer full-service design with a polished, well-appointed feel—and their store is a reflection of this as well. You’ll find everything from antiques and art glass to furniture, design books, gift items, and local art, with many pieces in a cheerful and refreshing palette. Step just next door to mertinsdykehome (501-280-3200, mertinsdykehome.com), which is also the headquarters of designer Garry Mertins. Comfortable pieces, including lines such as American Leather and Johnston Casuals, along with a great selection of casegoods, mirrors, and lighting fill the showroom. Consult with Garry on your space or update your home with a selection from the store. 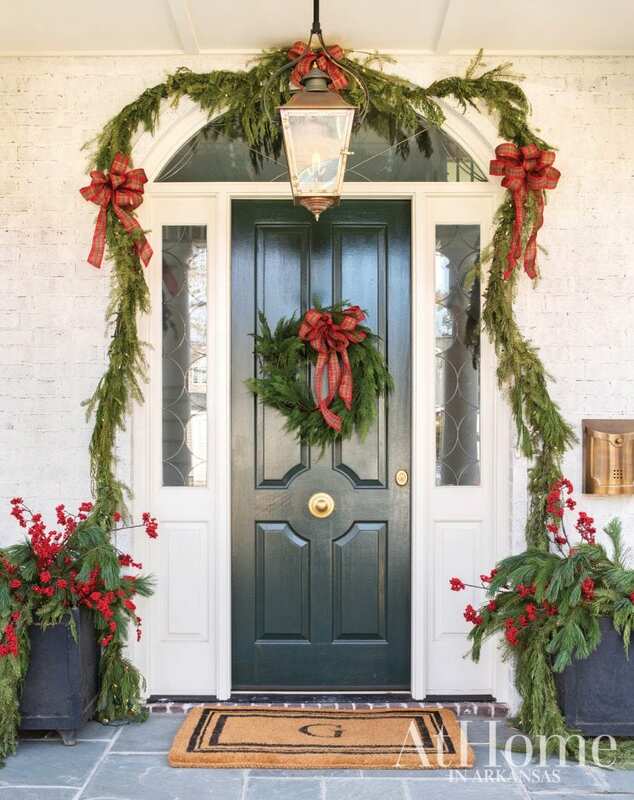 Heading over to Capital Park’s warehouses, you’ll be greeted with shop after shop, many of which are owned and operated by interior design professionals. Start at the far end of the strip, which is home to Providence Design (501-372-1886, providenceltddesign.com). The store, which recently relocated to a new larger showroom from another storefront in the same complex, is curated by designers Talena Ray and Mona Thompson. You’ll be delighted with the expansive selection of antiques, lighting, design books, accessories, upholstered pieces, mirrors, architectural pieces, and more—all in Providence’s refined yet relaxed signature style. What’s more, you can now shop their inventory online. Continue on to Debi Davis Interior Design and Reborn Relics Home (501-221-2032, rebornrelicsdesign.com), which is just a few doors down from Providence. Known for her brilliant use of neutrals as well as her exquisite Reborn Relics Home line, designer Debi Davis has created a refreshing, airy showroom that is a true reflection of her elegant work. You’ll find furnishings, accessories, lighting, mirrors, and more inside the store—and Debi and her staff will be happy to assist you with a renovation or any full-service design project. Next, stop in at the recently opened Art of Design (501-615-8565, shadavari.com) showroom. Owned by designer Sha Davari, this showroom (which is located in the space formerly occupied by Providence Design) has a wonderful selection of pieces that are representative of Sha’s design work. You’ll find casegoods, accessories, upholstered pieces, and more in the showroom, and, of course, Sha is happy to help you pull your room together with her design services. 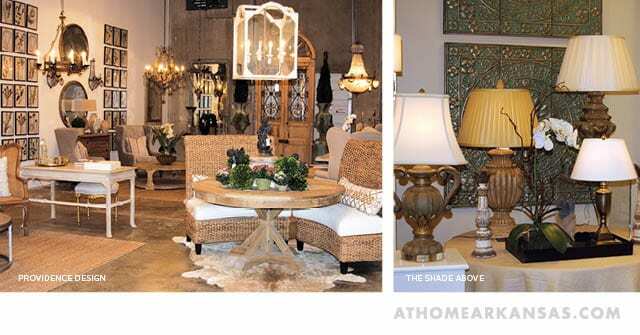 If you’re specifically in the market for lighting, visit Scott Morris at The Shade Above (501-374-3555, theshadeabove.com). In addition to the selection of lamps, sconces, floor lamps, and chandeliers—many of which are exclusive items from his Illuminaire Lighting collection—the shop also offers rewiring and repairs for fixtures. They can also make custom shades or reline an existing shade for you. Last, but certainly not least, in the shopping center is HOWSE (501-725-4719, thehowse.com), a destination for contemporary furnishings, including upholstered goods, dining pieces, end tables, lighting, rugs, and mirrors. You’ll notice their huge selection of artwork upon entering. Many of these pieces are by local artists, including Buddy Whitlock. 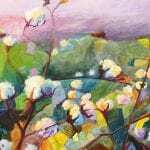 Some can be purchased as originals or as giclée prints. They also offer free design services and next-day delivery on in-stock items. Be sure to visit their sister store in Bentonville, and shop their discounted items at WARE|HOWSE, which is located in the same shopping center and open on Fridays and Saturdays.